Are you looking for a new city to call home? With so many options to choose from, how do you decide? As you may already know, the United States can be broken up into regions, each with their own unique culture, climate, and history. Today, we are concentrating on the Mid-West, particularly the city of Detroit. Detroit attracts thousands of visitors each year with its amazing events and attractions. From sports fans to art lovers, the city offers a little something for everyone to enjoy. Detroit makes the perfect place to work, study, and grow up. Even the automotive industry would not be what it is today without this beautiful city. 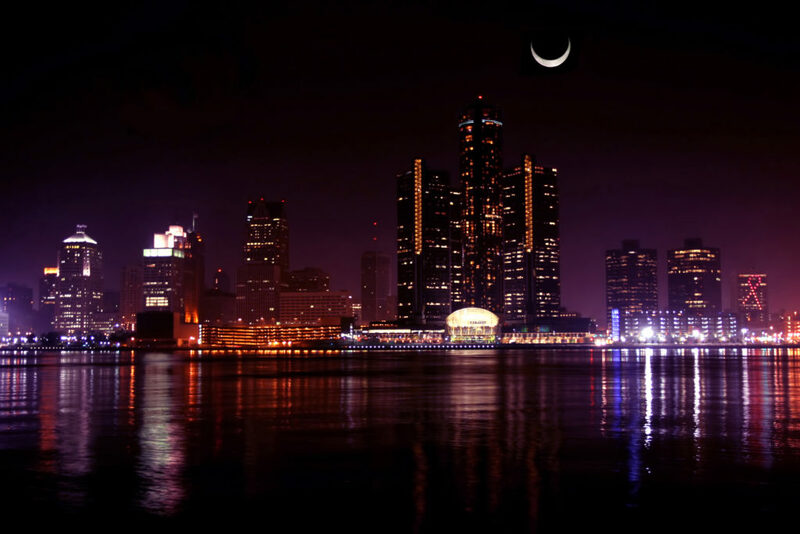 In the past, Detroit has gained recognition for one of the best cities in the United States. It is easy to see why. People come here, from all over, for school, work, and other opportunities. If you have never considered Detroit before, the city is definitely worth a visit. If a move is in your future, this is where we can help. We, at National Dispatch, offer nationwide car shipping services to assist in making the transition to your new home an easy one. Learn more about Michigan Car Shipping. Car shipping companies, like ourselves, are responsible for safely transporting your car to its destination in a timely manner. Our customers rely on us for unmatched service at a competitive rate. Car shipping services are fast, easy, and safe. If this is your first time shipping a car, you might be unsure how the entire auto transport process works. Here is an outline of what you can expect. Schedule services. To ensure that the car is delivered within the timeframe you need it to be, it is important to schedule auto shipping services in advance. Prepare the car. There are several things that you must do to prepare your car for transport. First, you must ensure that the car is free of any personal belongings. Transport carriers must meet a weight requirement. Furthermore, transport of these items are not allowed for insurance and safety purposes. Second, you should ensure that your car has one-quarter tank of gas. More than the recommended amount is unnecessary. Perform an inspection. An inspection is an important step that should not be skipped. Before the transporter arrives to pick up the car, you should conduct a thorough inspection. Make a record of the condition of your car with photographs. This would be of use if anything were to happen during transport. Pickup/Delivery. With door-to-door auto transport, your car will be picked up directly from your home. A formal inspection will be conducted by the driver, which you will sign off on. Once the vehicle is loaded, it will travel across the states to its new home. Detroit is the largest city in Michigan. There are both benefits and drawbacks to living in the area. There are a ton of opportunities to explore the outdoors. The city makes both a great travel destination and the perfect forever home. Here is what you should know about Detroit. Compared to other large metropolitan areas, Detroit is an affordable place to live. The cost of living in the city is below the United States’ average. The city has one of the most affordable housing markets in the nation. This is a primary factor that attracts new residents to the area. Thus far, we have only discussed the perks of living in Detroit. However, the city does have one major drawback for some. This being its weather. The summers are warm, but the winters tend to be cold and windy. Snow is not uncommon, especially December through March. An occasional snowstorm may occur. Therefore, it may be time to invest in a vehicle with four-wheel drive capability. Detroit is much more than its cold weather. It is also a city of yummy treats. With great restaurants on every corner, you are sure to find something that delights your appetite. Some popular dishes include deep-dish pizza, Pierogis, coney dogs, BBQ, and flaming cheese. There are a million things to do in Detroit for both individuals and families. From sights and landmarks to concerts and shows, you will never run out of options. Here are a few of the most popular tourist attractions in the area. Comerica Park – This is not your ordinary ballpark. This is the home of the Detroit Tigers, but it also happens to be home to a baseball museum, Ferris wheel, tiger statues, and a fountain. Motown Museum – Take a trip back in time with a visit to this museum. This museum features photographs, costumes, artwork, Motown music, and more. Detroit Historical Museum – Admission is free. The museum features many great exhibits displaying the city’s history. You can see how the city was important in the Underground Railroad or how Detroit became known as Motor City. Belle Isle Park – This park is over 900 acres. It features an aquarium, conservatory, museum, and nature center. When the Belle Isle Aquarium opened, it was the third largest in the world. Today, it still contains a unique collection of fish and sea animals. Eastern Market – This is one of the largest and oldest year-round farmer’s markets in the nation. It is not something that you want to miss out on. National Dispatch is a top provider of auto transport services in the industry. We ship cars, trucks, SUVs, vans, and even motorcycles anywhere in the United States. We pride ourselves in getting vehicles to their destination in a safe and timely manner, so our customers come back to us time and again for our reliable services. At National Dispatch, you can expect a unique experience catered specifically to your needs. If you are in need of car shipping services, request a free, instant car shipping quote using our online quote form. No personal information is required. Only four simple fields are needed to get a quote in seconds. If you prefer to speak with one of our agents, then call us at 800-321-2051.